You get a brand new iPhone and of course you have in mind to sync all your music, video files, photos, from an old iPhone. 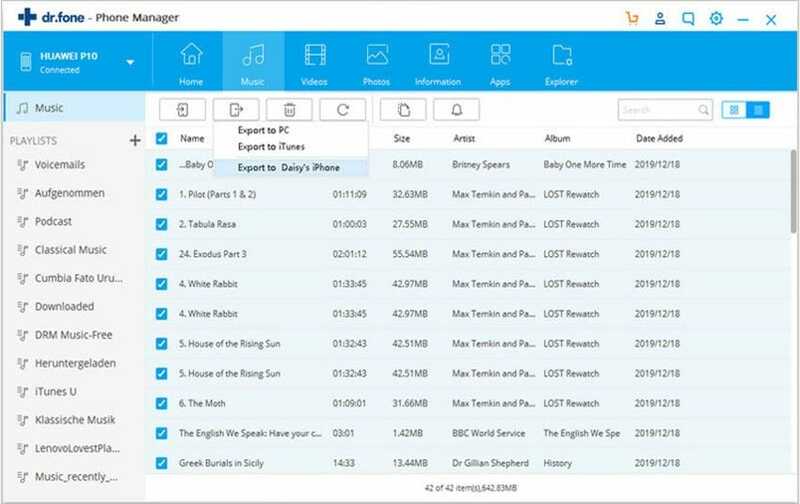 iSkysoft iTransfer for Mac helps you to transfer smoothly the entire playlist and media files. iSkysoft iTransfer works well on different iPhone devices like iPhone X, 8 (Plus), 7S (Plus), 7 (Plus), 6, 6 Plus, 5s, 5c, 4s, 4, 3GS and 3G. The operating systems required for your computer are Mac OS x 10.10 - Yosemite, 10.9 - Mavericks, 10.8, 10.7. Download and install iSkysoft iTransfer on your Mac. Connect both your phone to the Mac with 2 USB cables. From the first window of iTransfer, you can click the "Phone to Phone Transfer" choice to transfer the contents between the two phones. If you want to only transfer the certain files to the other phone, you have chance to only sync the wanted songs/video/photos or others. Please go to the corresponding tab and choose the wanted items. Then click "Export" to export to your new phone. If you have a totally new iPhone without any useful data on it, you have two options to sync your new iPhone with an existing iTunes library. One way for syncing is by using USB and the another way is by using WiFi, but only if your iPhone is in the same WiFI network with your computer. In any case, you should have the latest version of iTunes. For the moment, the newer version of itunes is 12.0.1 . 1. Once you have the certainty that you have installed the latest version of iTunes, open it by clicking on the specific icon. 2. Next step is to connect your iPhone via USB to computer. 3. View your connected iPhone in iTunes and choose the content for syncing: You can turn on syncing for photos, music, movies, and for several other items. Choose the content type from the list under settings, then click the box next to "Sync Music", then "Sync Movies" and proceeds the same steps for every content. 4. The final step is to click on the Sync button and wait until all your selected data are synced. Even if the progress bar of iTunes pause during this process, don't unplug your iPhone. Usually, the time for syncing depends on your file's size. 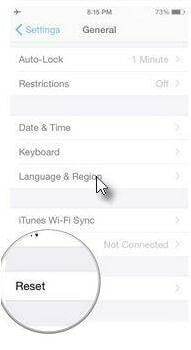 In order to sync by using Wi-Fi method, your iPhone it must to be connected to a power source, iTunes is open on the computer, and your iPhone is in the same Wi-Fi network with your computer. 1. Open your iTunes and connect your iPhone to computer. 2. View your connected iPhone in iTunes. 3. Select "Sync with this iPhone over Wi-Fi" from the "Summary" tab. 4. Choose the content for syncing and click on "Apply" or "Sync". Make the backup for your old iPhone because you need a backup from your old iPhone in order to use it for syncing your new iPhone. 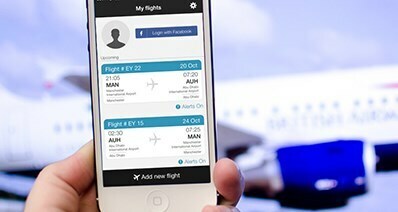 All your data, apps, settings can be transferred to your new iPhone in a very easy way. There are various methods to save your backups like in iTunes and iCloud. Back up your old iPhone by using iTunes. Remember that you have an additional option, to encrypt the backup and you will have the passwords for your email, Wi-Fi, and more when you transfer to the new iPhone. Otherwise, you need to re-enter these passwords on the new device. Connect your new iPhone with the computer that you backed up your old iPhone. Turn on the iPhone and select "Restore from iTunes backup". Keep the device connected to iTunes to sync your media files and wait until the process is finished. 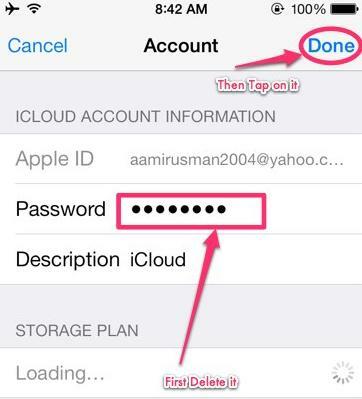 In your iCloud account you will have all data from your iOS devices, if you have already made a backup. Your iCloud backup gives you the possibility to use your saved contacts, messages, apps, on your new iPhone. Your new iPhone will show you the Setup Assistant that will come up with the question "Restore from iCloud Backup". You just need to choose this option and enter your iCloud ID and password. After this last action, you will need to wait a few minutes until the iCloud makes his job and start to restore your backed up data. In order to use the option to restore from iCloud backup, you need to connect your new iPhone to a power source. Also, you must to have a Wi-Fi connection. 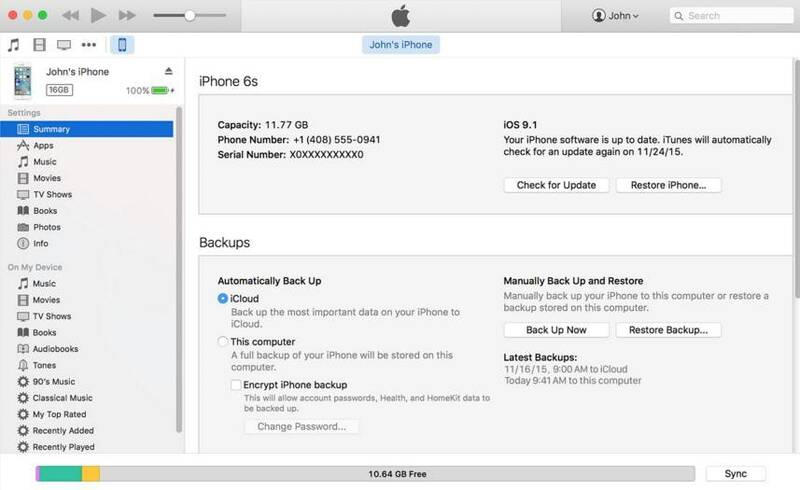 After you have chosen the backup that you need from your iCloud account, you will see that restoring is starting. Your iPhone will restart after the restore process is complete.